If you are thinking about taking a course to become a plumber then the City & Guilds 6129 Technical Certificate in plumbing is one of the first things you should look out for that and making sure the course provider is fully City and guilds accredited. The C&G 6129 plumbing course is designed for people who want to become qualified plumbers and have no previous experience in plumbing. The course will contain all the underpinning knowledge and skills you will need to be able to gaining your NVQ Level 2 Plumbing thus becoming a nationally recognised qualified plumber. On a City & Guilds plumbing course you will be tutored by an experienced fully qualified plumber who will take you from the basics of plumbing through to more complex tasks both in theory and practical hands on training. By the time you have completed the course you will be able to tackle any plumbing task that may come your way, this is what the C&G 6129 course is designed to do. 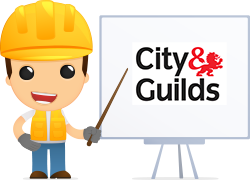 The City & Guilds 6129 Technical Certificate course can last from between 6 – 8 weeks classes Monday – Friday depending on your course provider. Most training centres are now modern purpose built facilities and are run in a friendly manner, you will be taught in small groups with people from all walks of life and who have chosen the same career path as you. Plumbing courses are not cheap costing in the range of £4000 – £6000 but you should consider it an investment in your future, you get what you pay for and you’ll be getting a new career in plumbing in as little as 6-8 weeks, and once you have completed the course and then gained the Level 2 NVQ nobody can take that achievement away from you. There continues to be great demand for qualified plumbers both at home and abroad and by taking a city and guilds 6129 plumbing course you’ll be well on your way to becoming one.